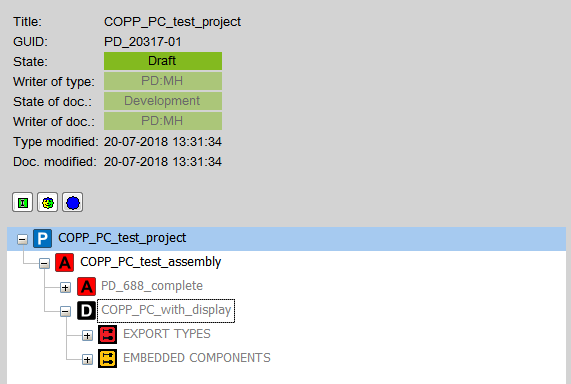 First step is to add the COPP_PC_with_display to your project. 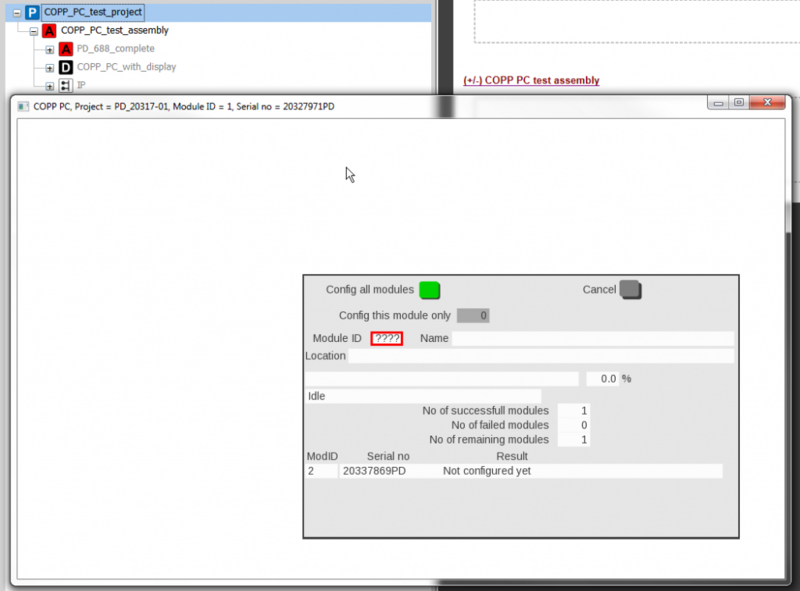 After this step is done, you'll need to fill in the serial number of the COPP_PC_with_display. If using the "internal" COPP_PC_with_display, the default serial number will always be "20327971". Now you'll need to ensure that you have enabled the COPP_PC_with_display to be "project downloader". This can be done by right-clicking the device, in this case the COPP_PC_with_display. You'll also have to remember to connect the devices which you want your downloader pc to download to, in our case the PD_688_complete -> PD 688 device, through a suitable "NET". We use the IP NET in this example. 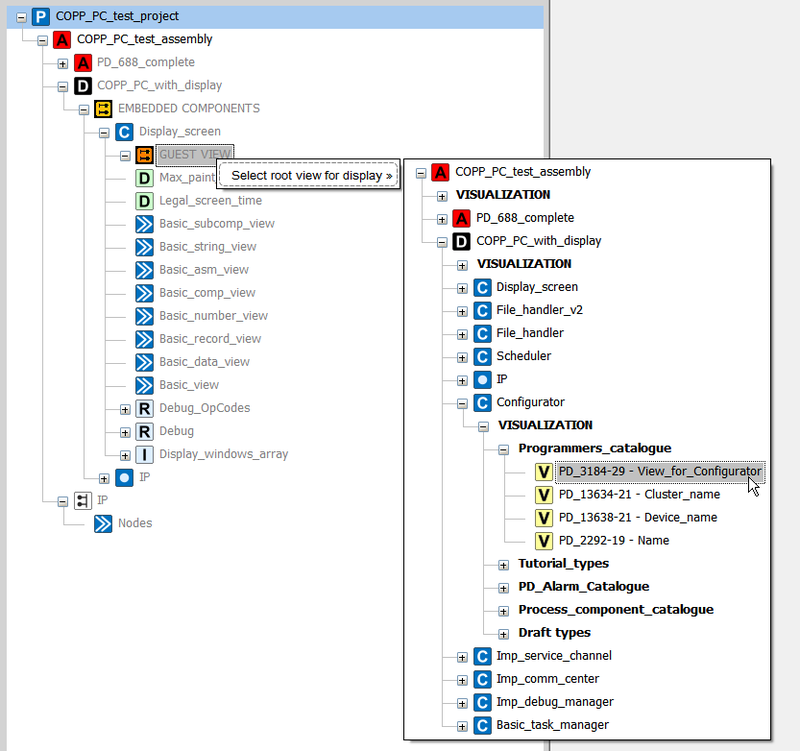 Now we need to add the configurator view, "View_for_Configurator", to the COPP_PC_with_display's guest view. 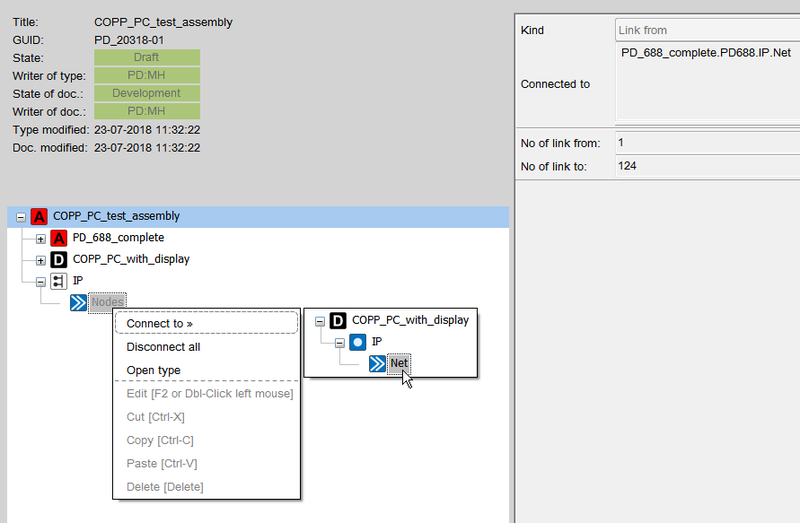 This view is loacted in the COPP_PC_with_display's: Embedded components -> Display_screen. Note: If your not able to see any visualisations its probably becasue you haven't added any catalogues, views are only accessable though these, and therefore can't see any. Take a look here -> Catalogue guide. 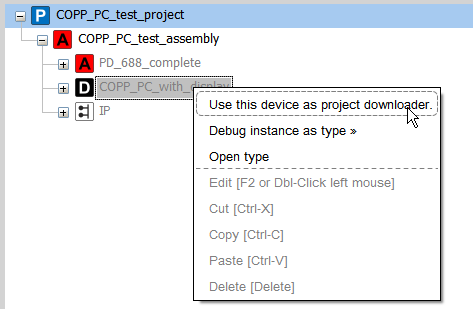 You'll now be ready to use the COPP_PC_with_display as your project downloader.